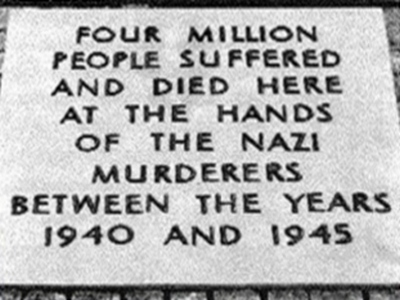 Top: Memorial plaque to those killed by the Nazis in Auschwitz, put in place in 1948 and removed in 1989. 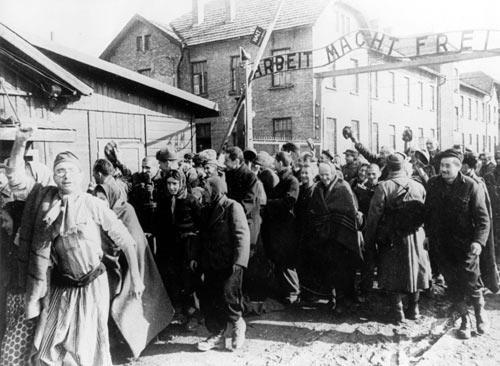 Bottom: Soviet Red Army liberates Auschwitz prisoners January 27, 1945. 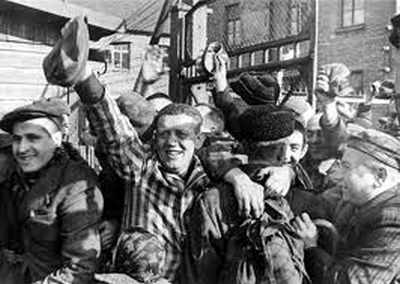 Imbue with new life the clarion call of Never Again! 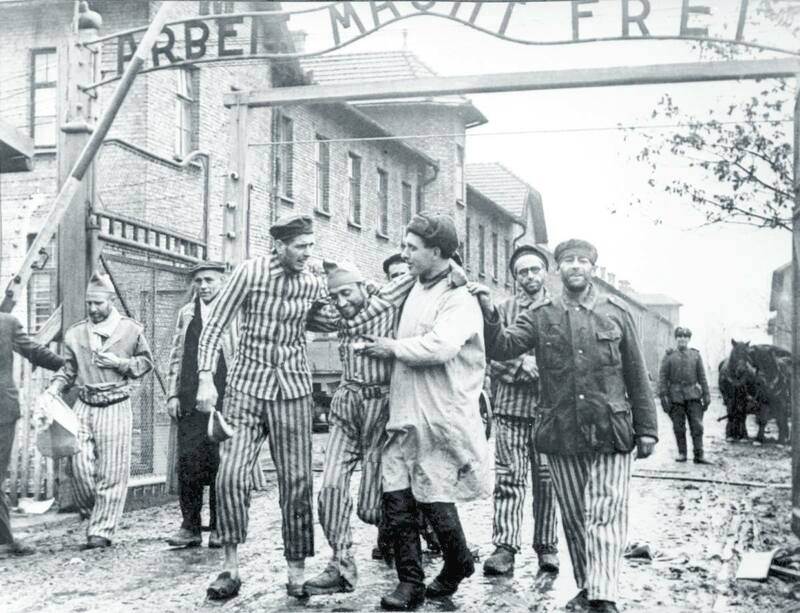 Prisoners of the Auschwitz concentration camp are liberated by the Red Army, January 27, 1945. Keep Stelco Producing! Steel not Steal! Hamilton City Hall, 71 Main St. W.
or Local 8782 USW at 519-587-2000.